Mark Cuban, one of the most successful people in the United States, has interesting advice for high school students looking at colleges. You might be surprised at what he has to say about your college education. Many students assume that they need to start out at the best school possible. Cuban argues that that notion is false, and that a student might be better off starting out at the cheapest college possible. In a time when student debt is extreme, it's important for you to weigh the marginal value of an introductory class at an expensive college against the necessary financial burden that comes with it. To Cuban, it's all about maximizing value without being crushed by skyrocketing tuition. 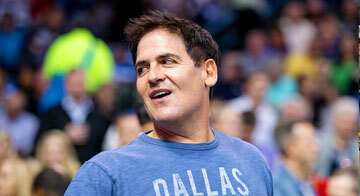 What do you think about Mark Cuban's message? We would love to hear your thoughts in the comments below.